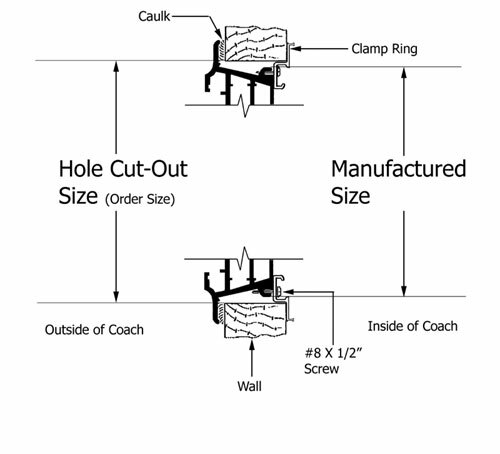 Rough hole dimensions are determined by the hole in the RV or Motor Home that needs to be filled with a window. You cannot determine rough hole dimensions without taking the RV window out of the RV or Motor Home. The RV window will be manufactured smaller than the rough hole dimensions to assure that the RV window will fit within the hole, and you have the ability to square the RV window in case the hole is not square.